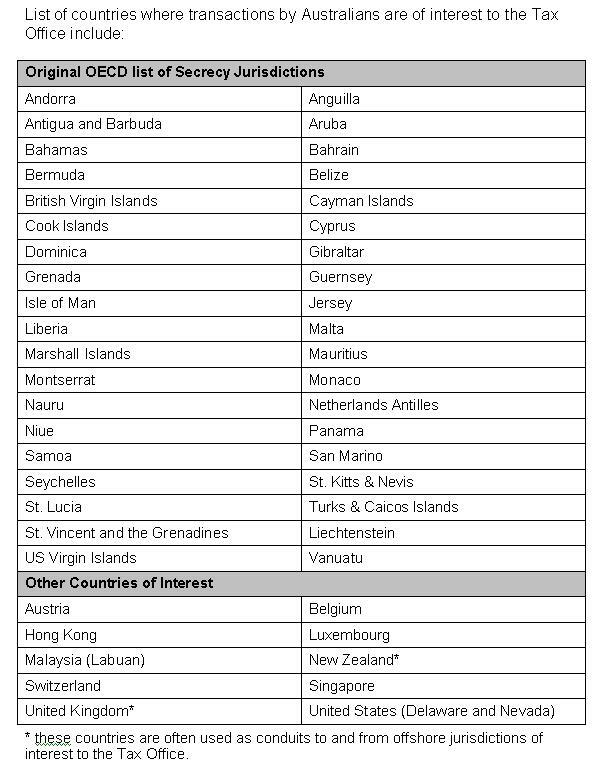 The Tax Office has ramped up pressure on Australians with undeclared accounts in tax havens gazetting orders allowing it to quiz 57 Australian institutions about the behaviour of at least 100,000 customers. The orders allow the Office to ask institutions including Westpac, Mastercard and Citibank Australia about customers who have merely made inquiries about setting up overseas accounts. "Sometimes the bank will have an operation in a tax haven and put their customers in touch, other times they will refer their customers to foreign institutions with which they have arrangements," Assistant Commissioner Malcolm Allen told the Herald. Most of the institutions on the list have agreed to hand the information to the Tax Office rather than challenge the order. The order also empowers the office to ask for for details of a broader range of transfers than those routinely reported to Austrac including transfers by credit card and cheques. "We have asked for this information the past, but generally only in specific cases. This is a more strategic operation," said Mr Allen. "We will be seeking records about anyone who has ever made such inquires between July 2005 and June 2009." 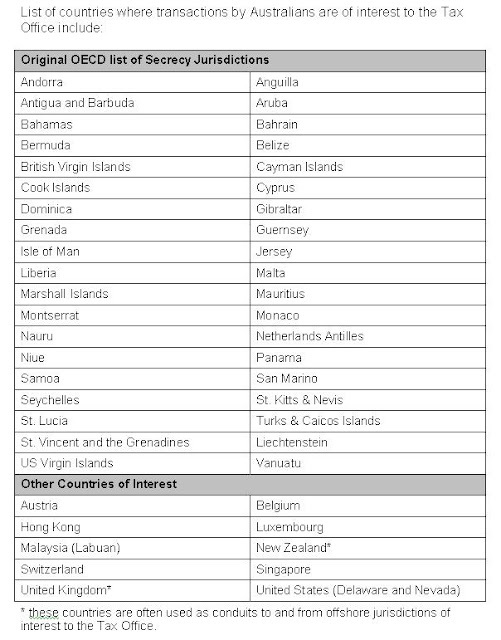 Among the 48 so-called secrecy jurisdictions and countries of interest covered by the order are Malta, Cyprus, the Cayman Islands and the UK and New Zealand, which are "often used as conduits to offshore jurisdictions of interest to the Tax Office". 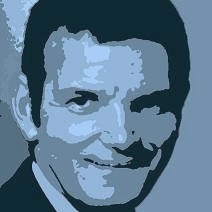 Tax Commissioner Michael D'Ascenzo stressed there was "nothing wrong with holding an offshore account or investing overseas as long as you pay any Australian tax due." "Our aim is to identify people who may be deliberately trying to hide income or assets offshore. I urge them to come to us before we come to them". An amnesty-like arrangement announced in November gives Australians with undeclared offshore accounts until June 30 this year to come forward in return for reduced penalties and the chance of an assurance they won't face criminal investigation. "The come in on a no-names basis, and on the basis of the facts they have given us we will tell them whether or not we would be looking at initiating a criminal investigation. With that advice from us they can then come forward and make that discolsure in the knoweldge that that is not going to happen," said Mr Allen. Since November around 150 taxpayers have come forward, declaring foreign accounts worth 18 million. "But the experience with similar initiatives offshore is that most people make those disclosures troward the end of the period. It takes a while to think about what to do, get information together and talk to advisors, generally about 70 days." "If people are going to take up the offer by June 30 they need to be thinking about it now," said Mr Allen, stressing that the "no-names" offer of anonymous advice would end then too.